Wrigley’s pioneered sales of chewing gum in Britain, and holds 93 percent of the British gum market as of 2016. William Wrigley Jr (1861 – 1932) established a British subsidiary in 1911 with a capital of £2,000. Wrigley (Sales) Ltd had a warehouse on Lambeth Palace Road, London and an office at 164 Piccadilly. The first sales of Wrigley’s chewing gum were at Heppell’s, a Piccadilly chemist. It was difficult to convince Edwardian Britain to chew gum, at a time when even sucking on a boiled sweet in public was against the social norm. The big change came with the First World War; British soldiers picked up the habit of chewing gum as a relief from boredom. Previously engaged in sales, Stanley Lorimer Murison (1881 – 1932) was appointed managing director from 1921. A quiet and determined man, he invested heavily on advertising, and the company grew under his leadership. Murison relocated the warehouse and office operations to Tottenham Court Road. Wrigley advertised that their chewing gum was manufactured using only refined chicle, pure sugar and flavouring. The main two flavour varieties sold were Spearmint and “P.K.” (triple-distilled peppermint). Sales grew sufficiently that it was decided to establish a manufacturing base in Britain. Eleven acres of former British Empire Exhibition land at Wembley were acquired to establish a factory in 1925. The site was chosen due to its strong transport links. Build, land and equipment costs totalled £200,000. The factory was opened in 1927 with 350 employees. A large proportion of Wembley production was exported overseas; to Europe, India, Egypt and South Africa. Over 109 million packets of Wrigley gum were sold in Great Britain in 1929. Wrigley’s was the only sugar-coated chewing gum produced in Britain. Company capital was reduced from £200,000 to £150,000 in 1930. Wrigley claimed that due to high sales of its product, it required less capital than previously. Wrigley produced several tons of chewing gum in Britain every day by 1933. Its factory had a capacity of 300,000 sticks of gum a day. The Second World War saw production levels soar, largely fuelled by British and Empire military consumption. Britain was the second largest exporter of chewing gum in the world by 1940, largely due to the Wrigley factory. American GIs stationed in Britain also helped to promote the habit of chewing gum. Coupled with extensive advertising, sales reached the mass market level in the post-war period. Expanding sales saw the company outgrow the Wembley facility. The factory and head office were relocated to a 39 acre site outside Plymouth in 1970. 25 percent of Wembley employees relocated to Plymouth. Orbit, Britain’s first sugar-free gum, was launched in 1977. Wrigley’s Extra was introduced from 1989. Airwaves was launched in 1997. Extra Mints were launched in 2004. Wrigley was acquired by Mars, the chocolate manufacturer, in 2008. Wrigley employed nearly 500 people in Britain and Ireland in 2015, including 230 people at the Plymouth factory. Around 25 percent of Plymouth production is exported overseas. Wrigley held 90 percent of the British chewing gum market in 2017. 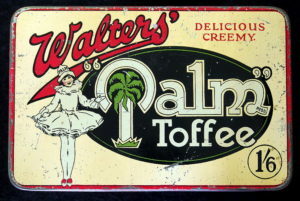 Walters’ Palm Toffee was one of the largest toffee manufacturers in Britain. Nathan Baraf Walters (1867 – 1957) was a Jewish Romanian from Botosani. He established a toffee manufacturing business at Poplar, London in 1887. Palm Toffee was the main product, so-called due to its banana flavouring. Nathan B Walters was naturalised as a British subject in 1899. Production was relocated to a former aircraft factory at Westfields Road, Acton from 1926. It was one of the largest toffee manufacturing plants in the United Kingdom, located on a 1.5 acre site. 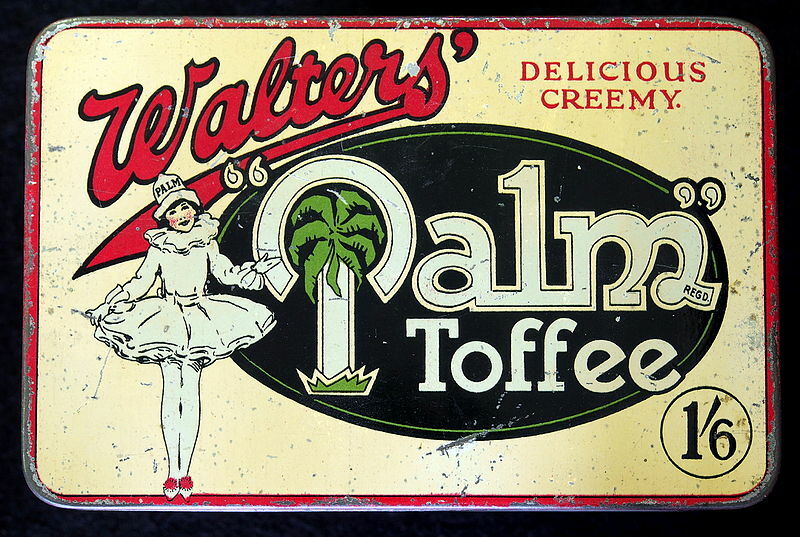 Walters’ Palm Toffee Ltd had a share capital of £240,000 in 1928. That year, export sales to Europe and the British Empire began. Palm Toffee was advertised as produced from pure cane sugar and milk. The basis of its success appears to be that it was a high quality product available at a reasonable price. It appears to have been mainly produced for the working class market. Around 800 people were employed at the Acton factory by 1935, including 200 night workers. The factory was destroyed by a colossal fire in 1935. The blaze could be seen from miles away. Major Arthur Baraf Walters (1892 – 1973), a director of the company and son of the founder, collapsed at the scene from shock and had to be hospitalised. The factory was rebuilt. The end of sugar rationing in 1954 saw a boom in confectionery sales. However by the end of the 1950s this boom was over, as an increasingly prosperous society began to favour chocolate. As a result of this financial pressure and stagnation, the industry began to consolidate. Walters’ Palm Toffee became loss-making, and was acquired by J & P Holland of Southport, the largest toffee manufacturers in the world, for £385,000 in 1960. J A & P Holland closed the Acton factory in 1961. Production of Palm confectionery was transferred to other Holland factories. As Holland almost immediately closed the Acton factory, in essence what they acquired was the Walters’ Palm brand. Walters’ Palm certainly isn’t available today, and I would venture that few people remember it. In order to gauge how successful the takeover was, we need to ascertain how long the Walters Palm brand lasted, and ideally, how successful it was. Did Holland successfully increase its national distribution and export sales? Hall’s is the leading sugar confectionery brand in the world. How did a cough drop from Lancashire conquer the global market? Thomas Harold Hall (1872 – 1944) and Norman Smith Hall (1874 – 1946) were the sons of a Radcliffe, Lancashire millwright. They entered into partnership as jam manufacturers at the State Confectionery Works on Stanley Road, Whitefield, Lancashire from 1893. Production had been extended into boiled sweets by 1901. Hall Brothers was incorporated as a public company in 1912, with the two brothers as joint-managing directors. Caramel production began after the First World War. Jam manufacture ceased from 1924. Thomas Hall retired from the business in 1926, and Norman Hall continued as sole managing director. The Hall’s Mentho-lyptus trademark was first registered in 1927. As the name suggests, the cough drop was a mixture of menthol and eucalyptus. Thomas Hall died in 1944 with a net estate of £74,248. Norman Hall continued as managing director until his death in 1946. He was succeeded by his son, Roland Fletcher Hall (1901 -1969). Hall Brothers (Whitefield) Ltd had a fully-paid capital of £100,000 in 1953. The company specialised in boiled sweets and caramels, and Hall’s “Mentho-lyptus tablets” was the principal product. 185 people were employed. Hall’s cough drops were introduced to the United States in the 1950s. A fire destroyed the Whitefield factory in the early 1960s, and the site was rebuilt. Sales were extended into London and the Home Counties in 1961. Over 20 percent of production was exported by 1962. Warner Lambert, an American pharmaceuticals company, acquired Hall Brothers for £1.3 million in 1964. Warner Lambert were keen to diversify, and were attracted by the company’s strong growth. Through its Adams subsidiary, Warner Lambert already owned the Trident chewing gum brand in America. The Hall Brothers directors, with 17 percent of the equity, supported the sale. Hall’s held around a third of the British cough drop market by the mid 1960s. A new factory was opened at Dumers Lane, Radcliffe, Lancashire in 1970. That same year, Hall Brothers received a Queen’s Award for export achievement. After the Warner Lambert acquisition, distribution of Hall’s in the United States increased significantly. Hall’s was the leading cough drop in the United States by 1972, and controlled 40 percent of the market by 1975. Sales were developed in Latin America in the 1970s. The Whitefield factory was closed in the late 1980s. Warner Lambert controlled half of the confectionery market in Thailand by 1990, which represented the largest territory for Hall’s sales after the United States. In Thailand, as with much of the Southern hemisphere, Hall’s sweets were sold for refreshment, rather than as a medical product. Hall’s Soothers, a milder version of Mentho-Lyptus with a liquid centre and throat-soothing properties, were launched in the United Kingdom from 1992. Sales quickly came to over take the original product in its home market. Hall’s was the highest-selling cough drop in the world, with annual sales of over $400 million, by 1993. Pfizer, a pharmaceuticals company, acquired Warner Lambert for $90.3 billion in 2000. Cadbury Schweppes acquired Adams, including Hall’s, from Pfizer for £2.7 billion in 2002. 130 jobs were lost at the Radcliffe factory in 2004. The entire site was closed in 2005, with the loss of a further 310 jobs. The site was closed as 80 percent of its output was exported to the Americas, and it made economic sense to relocate production there. Cadbury became a part of the Mondelez snacks group from 2012. Hall’s accounts for 20 percent of medicated sweets sales worldwide, and is the leading sugar confectionery brand in the world according to Euromonitor. Holland of Southport was the largest toffee manufacturer in the world. 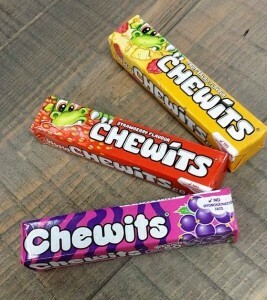 It remains best known for introducing the Chewits sweet. Due to the death of his mother and the subsequent alcoholism of his father, John Holland (born 1860) was adopted by his uncle, James Ford (born 1840), a prosperous confectioner in Ormskirk, Lancashire, in 1868. Holland served an apprenticeship with Ford, who later gave him premises of his own at 23a Cross Street, Southport. John Holland developed a new method for producing creamy toffee in the 1890s. Before boiling, all the ingredients except for flavouring and colouring were cold-mixed at high speed in vats until a smooth consistency was achieved. The highest-selling product was Everton Toffee, made with just sugar and butter. John Arthur Holland (1886 – 1963) also entered the business. During the First World War a production line factory was built outside Southport. The firm was thus well-placed to cope with the post-war rise in demand for confectionery products. The next generation also joined the business; John Arthur Holland (1913 – 2001), was appointed manager of a new toffee factory on Virginia Street, Southport in 1927. The firm traded as John Holland & Sons by 1932. J A Holland evidently made a success of his factory, as the Cross Street site was sold off in 1934, with all production centralised at Virginia Street. J A Holland took over the firm from his father in 1936. He relaunched Invalide Toffee, a discontinued brand that had been first introduced around 1900. Sales took off, aided by a confident new marketing slogan, “Best on Earth”. A fire at the factory in 1940 caused an estimated £5,000 to £6,000 worth of damage. The works were out of use for three weeks, but Holland refused to leave staff out of work, and instead engaged them in the clean-up process. Originally a local firm, the post-war period saw a boom in sales, and Holland’s capitalised on this by keeping the factory running 24 hours a day. A £75,000 investment was used to extend the factory in 1952. That year, the firm was passed to John Arthur’s two sons, John Arthur and Peter (born 1923), and renamed J A & P Holland. J A & P Holland was listed on the Liverpool Stock Exchange with an authorized capital of £250,000 in 1953. That year, the company began exporting toffee to the United States. A new four-storey factory was erected at Virginia Street, Southport in 1954. The toffee market had began to decline by the late 1950s, but Holland continued to grow by acquiring competitors. Holland became the largest toffee manufacturer in the United Kingdom after it acquired Fillerys of Birmingham in 1960. Fillerys produced higher-end toffee, and had a substantial own-label contract with Marks & Spencer. Later in 1960 Walters Palm Toffee of Acton was acquired for £385,000; and Ewbanks of Pontefract, best known for liquorice, for £72,600. The company listed on the London Stock Exchange in May 1960, with an ordinary capital of over £500,000. S Parkinson & Son of Doncaster, best known for butterscotch, and Coq d’Or, best known for high quality chocolates, were acquired in 1961. 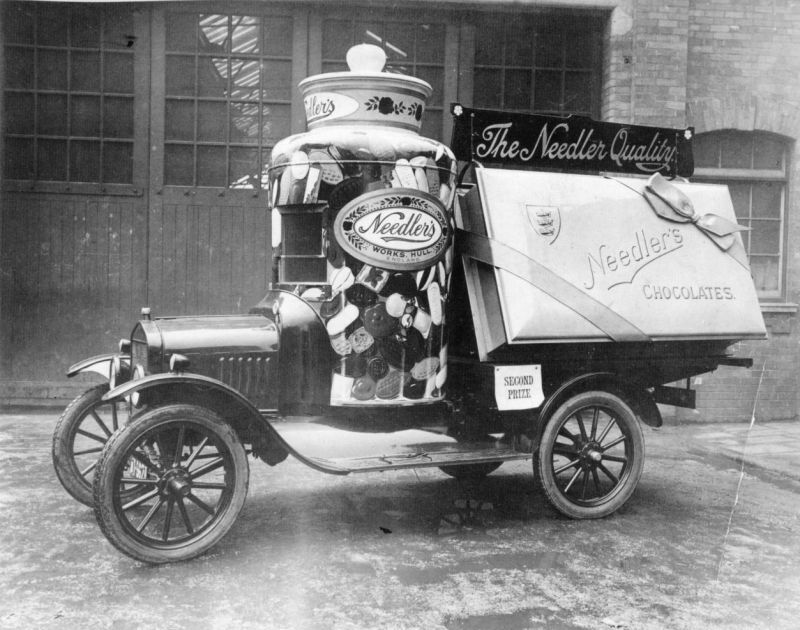 Harper Paper, a sweet wrapper manufacturer, was also acquired that same year for £1.25 million. J A & P Holland was the largest manufacturer of toffee and caramel in the world by 1961, and the largest exporter of toffee and caramel to the United States. Over one billion toffees were produced every year. John Arthur Holland died in 1962 and left an estate valued at £117,243. Some subsidiaries were loss-making, particularly the paper interests, and J A & P Holland was unable to pay a dividend in 1963 or 1964. Independent shareholders found themselves in disagreement with the Holland family regarding company strategy. J A & P Holland was best known for Penny Arrows and Goodies White Mice when the Chewits line was introduced in 1965. Cavenham Foods acquired J A & P Holland in 1965. It joined the Cavenham Confectionery subsidiary alongside Carson’s, which made chocolate liqueurs. J A & P Holland’s paper and plastic interests were divested. Cavenham closed down the smaller factories that it had inherited, leaving just Bristol, Southport and Doncaster. Cavenham invested heavily in new machinery at the Southport factory. Cavenham Confectionery was loss-making between 1966 and 1969. Cavenham provided strong advertising support for Holland brands, with Chewits and Arrows advertised on television in the 1970s. The Doncaster factory was closed due to the rising cost of sugar in 1977. All administrative functions and chocolate production were centralised at Bristol. Sugar confectionery production was concentrated at Southport. Cavenham Confectionery had re-entered profitability by 1980, with annual sales of £24 million. Cavenham Confectionery was subject to a management-buyout backed by Candover, a private equity firm, for around £8 million in 1981. 1,050 people were employed at Bristol and Southport. Its main products included Elizabeth Shaw, liqueur chocolates, children’s sweet lines and own-label chocolate for Marks & Spencer. Candover sold Cavenham Confectionery (now called Famous Names) to Imperial Tobacco for £15.5 million in 1985. By this time the number of employees had been downsized to 650. The Southport factory employed around 250 people in 1986, and produced the Chewits, Goodies and Parkinsons confectionery lines. Famous Names Ltd changed its name to Elizabeth Shaw Ltd in 1988. Elizabeth Shaw Ltd was subject to another management buyout for £24.7 million in 1989. Leaf of Amsterdam took a minority stake in the venture, before acquiring full control the following year. 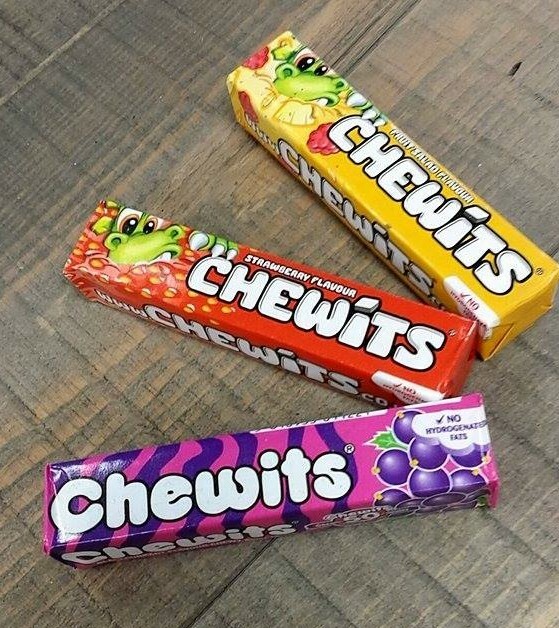 By this time Chewits was the leading fruit chew brand in Britain. The Southport factory, with a four-floor layout, was outdated, and was operating at 40 percent capacity. It was closed with the loss of 150 jobs in 2006. Production was relocated to Slovakia and the Southport factory was demolished in 2008. Edward Sharp & Sons became the largest toffee manufacturer in the world. Edward Sharp (1854 – 1931) was born in Maidstone, Kent, the son of a paper factory manager. He was educated at the local grammar school. He was a dedicated Congregationalist. Sharp established a grocery business on Week Street, Maidstone. He began to sell homemade sweets in his shop from 1878, principally toffee and nougat. He employed one man and one boy by 1881. The confectionery sideline was to prosper, and Sharp had divested his grocery business by 1898 and established a dedicated factory in a former roller skating rink on Sandling Road, Maidstone. From the turn of the century, Kreemy Toffee secured the business a nationwide reputation. A new factory, the Kreemy Works, was established at St Peter’s Street, Maidstone, from 1912. Sharp’s success was credited to improved methods of manufacture, careful advertising and a national increase in toffee sales during and after the First World War. The business claimed to be the largest toffee manufacturer in the world in 1922, and Sharp was made a baronet. Sharp’s wife died in 1925, and to widespread surprise, he married his secretary when he was 74 years old in 1928. He died in 1931 and left an estate valued at £156,367. Sharp’s sons Herbert Edward Sharp (1879 – 1936) and Wilfred James Sharp (1880 – 1945) became joint-managing directors of the company. Edward Sharp & Sons toffee sales continued to grow, and it was the largest toffee manufacturer in the world in 1933. The company owed its success to heavy advertising and a quality product. H E Sharp died in 1936 and left an estate valued at £79,943. W J Sharp died in 1945 and left an estate valued at £194,219. The grandsons of the founder became joint-managing directors. Employees could consume as much confectionery as they could eat on the premises, but were not permitted to take produce home. During the Second World War and up to the 1950s, restricted supplies of raw materials forced Sharps to concentrate on the export trade. Sharps was one of the foremost confectionery manufacturers in Britain in 1951. The factory could produce 600 wrapped sweets a minute. By this time the highest selling product was Super Kreem toffee. Sugar rationing ended in 1953, and butter rationing ended in 1954. To cope with increasing sales, 24 hour production was introduced, and 350 men were employed on the night shift alone by 1954. After the post-rationing boom, the sugar confectionery industry lost significant market share to chocolate. Edward Sharp & Sons was acquired by Trebor, a privately-owned London confectionery manufacturer, in 1961. The sales forces were merged in 1968, and the company became known as Trebor Sharp. Trebor Sharp was acquired by Cadbury in 1989. Sharps toffee was discontinued in 1998. The Maidstone factory was closed as part of an efficiency drive, with the loss of over 300 jobs in 2000. The factory had produced Softmints, toffee and fudge. Production was relocated to Chesterfield and Sheffield. The factory was demolished to make way for housing in 2002. The brand was relaunched as Sharps of York in 2004. The Sharps brand was acquired by Tangerine Confectionery in 2008. The Sharps brand had been quietly dropped by 2016. Geo Bassett was the largest sugar confectionery manufacturer in the world throughout much of the nineteenth century. 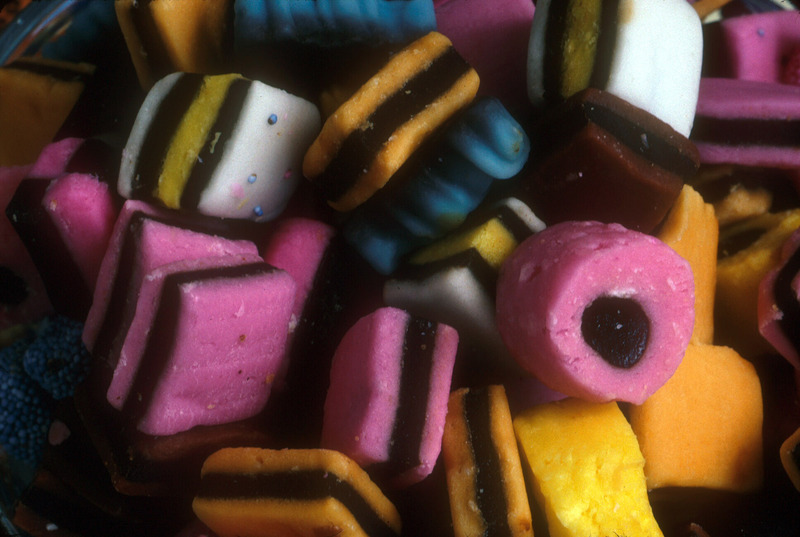 Today the brand is best known for Liquorice Allsorts and Jelly Babies. George Bassett (1818 – 1886) was the son of a farmer at Ashover, Derbyshire. He served an apprenticeship with William Haslam, a confectioner of Low Pavement, Chesterfield. Bassett was from a Wesleyan Methodist background, and remained strongly committed to the church throughout his life. He was a shrewd and painstaking man, with a dogged perseverance. Bassett relocated to Sheffield in 1842 and established himself as a retail confectioner at 30 Broad Street, Park. He later opened shops at Market Hall and Westbar. Additional premises were opened at Snig Hill. The retail trade was to prove slow, and Bassett decided to enter the confectionery manufacturing business. He sold his retail business in 1859 and took on a partner, William Lodge, and they traded as Bassett & Lodge. A new steam-powered confectionery works was opened at Portland Street, Infirmary Road, Sheffield. The Bassett & Lodge partnership failed to work out, and was dissolved in 1861. George Bassett employed 36 men, 30 boys and 12 girls in 1861. He was regarded as a kind employer. George Bassett entered into partnership with Samuel Meggitt Johnson (1837 – 1925), who had previously worked for him as an apprentice, from 1864. Bassett employed 150 people by 1871. The Portland Street works was the largest confectionery factory in the world by 1876. George Bassett was elected Mayor of Sheffield in 1876. The former United States President, Ulysses S Grant, stayed at Bassett’s house on his visit to Britain in 1877. After suffering a paralytic stroke in 1878, George Bassett was forced to resign from business and public service. S M Johnson took full control of Bassett & Co.
George Bassett died in 1886 with a personalty of £91,524. He had given generously to various charitable causes throughout his life. Bassett’s was the largest confectionery manufacturer in Britain by 1886. The Don Works, Bridge Street had also been opened in Sheffield by 1890. The Don Works employed 180 women. The Portland Street works employed 300 people. S M Johnson was highly regarded as an employer. Charles Thompson, the company’s sole sales representative, called on a Leicester wholesaler called Walker in 1899. A shop assistant knocked over his tray of sweets. Walker liked the look of the scattered sweets, and ordered a batch. Thus, the sale of Liquorice Allsorts began. The business was converted into a private limited company in 1919. When Johnson died in 1926, his estate was valued at £818,360. In his obituary in The Times he was heralded as one of Sheffield’s most benevolent citizens. George Bassett was incorporated in 1926 with a capital of £350,000. The Don Works had been closed down by 1927, but a peel and fruit preservers, Samuel M Johnson & Sons of Owlerton, had been acquired. Net profit in 1928 was £72,601. All production was concentrated at the Owlerton site from 1933. Geo Bassett & Co had 1,200 workers in 1939. Geo Bassett & Co accounted for over 35 percent of British confectionery exports to the United States in 1952. D Gordon Johnson, a descendant of S M Johnson, was appointed chairman and managing director in 1955, following the death of the previous chairman E M Mott. By this time Geo Bassett & Co employed 2,500 people, and controlled around half of the British liquorice industry. One million dollars worth of Licorice Allsorts were sold in the US and Canada in the 1956-7 financial year. Over 20,000 tonnes of Bassett’s confectionery was sold in the 1958-9 financial year. W R Wilkinson, confectioners of Pontefract, was acquired for £1.1 million in cash in 1961. Barratt’s, with the leading position in the children’s confectionery market, was acquired for nearly £4 million in 1966. Geo Bassett received a Queen’s Award for Export Achievement in 1967. Confectionery was exported to 40 countries. Geo Bassett was the largest sugar confectioner in Europe by 1972. The Barratt factory in Wood Green, London was closed with the loss of 750 jobs in 1975. The closure was due to a shortage of labour in the area and the difficulty of modernising the factory. Geo Bassett operated five factories by 1977: Sheffield, Pontefract, Uddingston, Breda in the Netherlands and Sydney, Australia. 30 percent of all its British production was exported to 62 countries. 75 percent of Rouger et Cie was acquired for £568,277 in cash in 1977. 1979-80 saw the company register a profit loss due to the strength of the pound sterling and strong competition from imports. 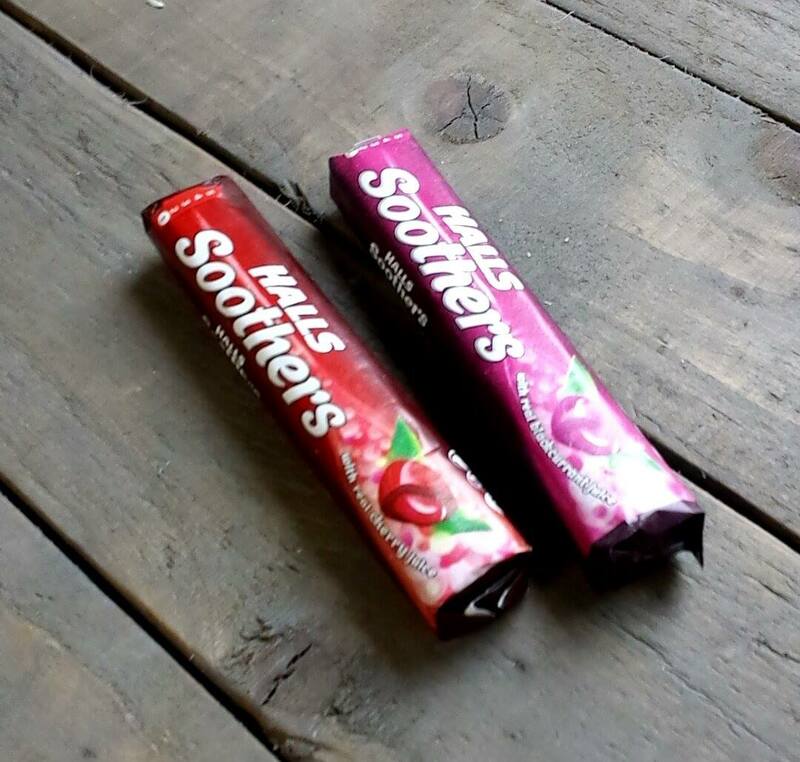 As a result, the Allsorts product was repositioned as a mid-market rather than upmarket brand, in order to increase sales. The following year, Bassett’s re-entered profitability after 25 percent of its workforce was dismissed, leaving it with 3,000 employees. Bassett’s had fallen to third place in the British sugar confectionery market by 1986, behind Trebor and Rowntree, with a seven percent market share. The company was acquired by Cadbury for £91 million in 1989. Cadbury merged its own smaller sugar confectionery businesses of Pascall-Murray and Lion into the larger Bassett concern. Later that year, Cadbury acquired Trebor for £110 million, and re-named its sugar confectionery subsidiary Trebor Bassett. Barratt & Co was once the largest sugar confectionery manufacturer in the world. Today it is best known for children’s confectionery products such as Sherbet Fountains and Dip Dabs. George Osborne Barratt (1827 – 1906), a pastry cook, entered into partnership with his brother, James John Barratt (1825 – 1872) at 9 Albert Place, City Road, Shoreditch in 1848. One day George Barratt sold some hard brandy snaps that were half-baked. 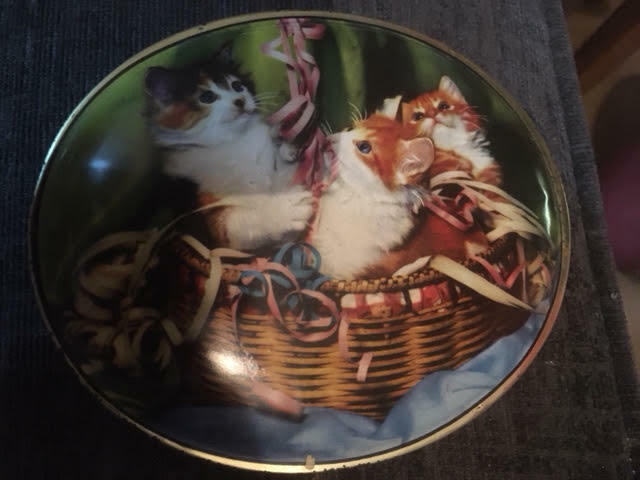 These were to prove popular. George Barratt relocated to Shepherdess Walk in Hoxton and established himself independently as a confectioner from 1852. He initially produced a few pounds of sweets a day, and was assisted by his wife and one employee, a sugar boiler. Barratt’s next success was “coconut chips”; grated coconut coated in crystallised sugar. Barratt then had success with various types of rock confectionery. The breakthrough for the business occurred when Barratt accidentally invented a new type of toffee. Branded as “Stickjaw”, he targeted the working class market with low prices. Barratt was always more of an inventor than a skilled producer of sweets himself. No’s 9 and 10 were occupied at Shepherdess Walk by 1864, to give Barratt factories on both sides of the street. One of the Shepherdess Walk factories was destroyed by fire in 1883. Around 500 people were employed by this time. Barratt was one of the largest manufacturers of jam and confectionery in London by 1884. Another fire occurred at Barratt’s factories at 30 and 32 Shepherdess Walk in 1885. The factory employed 600 people by 1890. That year around 200 staff, mostly young men and women, went on strike. Barratt had 2,000 employees by 1899. That year, the factory was struck by fire, causing £100,000 worth of damage. George Barratt entered into retirement from 1902, and divided his business between his four children. Barratt was the largest confectionery manufacturer in the world by 1906. The company employed nearly 2,000 people and produced 350 tons of sweets every week, across a site of nearly five acres. George Barratt died in 1906, with an estate valued at £153,830. E W Barratt gifted every employee of the company a 14-carat gold watch, in memory of his father, in 1907. Barratt & Co was incorporated with a capital of £330,000 in 1909. All of the directors were members of the Barratt family, and George William Barratt was chairman. There were 2,000 employees by 1913. The Sherbet Fountain was introduced from 1925. George William Barratt died in 1928 and left an estate valued at £369,282. The Dip Dab was introduced from 1940. Barratt was acquired by George Bassett of Sheffield for almost £4 million in 1966. The Wood Green factory was closed with the loss of 750 jobs in 1975. The closure was due to labour sourcing issues and an outdated factory. Bassett was acquired by Cadbury in 1989. Cadbury divested Barratt, Butterkist popcorn and other smaller confectionery lines, to Tangerine Confectionery for £58 million in 2008. The Barratt name was rebranded as “Candyland” from 2013, but reintroduced from 2018. Batger & Co was one of the largest confectioners in Britain by the early twentieth century. It was best known for Chinese Figs, Jersey Caramels and Silmos Lollies. The Batger family had a background in the London sugar trade. The business claimed that it was established by a Miss Batger in 1748. By 1783 John Batger was based at 16 Bishopsgate Street, London, where he had established a confectionery business by at least 1814. Batger & Co had a four-storey factory at 15-16 Bishopsgate Street by 1847. Batger & Co was acquired by Samuel Hanson & Son of Botolph Lane in 1856. A new factory was established at 103 Broad Street, Ratcliff, London in 1863. Frederick Machin (1826 – 1902) and Samuel Hanson (1804 – 1882) had control of Batger & Co by 1864. The Bishopsgate premises were divested in 1867. Batger & Co employed 200 people by 1871. “Harlequin” Christmas crackers began to be produced from 1872. The factory covered two acres, all built upon, by 1875. 450 people were employed; rising to 550 at Christmas and 700 during the English fruit season, when jam was made. Around 2,000 tons of sugar and 1,000 tons of English fruits were used each year. Machinery was used extensively. Frederick Arnold was the general manager of the company from 1855. He was a kind man and an effective manager. He led a content workforce, for whom annual excursions were organised. Arnold was dismissed in 1880 for extensively stealing from the company, and sentenced to 14 months hard labour. Frederick Machin had assumed full control of Batger & Co by 1880. Batger & Co employed 400 people (250 men, 100 women and 50 boys) by 1881. The company was one of the largest manufacturers of jam and confectionery in London. 14 tons of rotten fruit were seized from the Broad Street factory by the local health authority in 1895. Frederick Machin died in 1902 with an estate valued at £59,887. 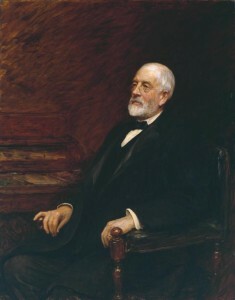 Control of the firm passed to his son, Stanley Machin (1861 – 1939). Batger was one of the largest confectionery companies in the United Kingdom by 1902. Batger had introduced Chinese Figs by 1903. They were oval sweets consisting of real figs, fruit jelly and a sugar coating. Batger employed well over 1,000 people by 1909. During the First World War the company won a lucrative contract to supply the Army with jam. Batger & Co was acquired by Crosse & Blackwell for £522,902 in 1920. Batger retained its old management, and Stanley Machin was appointed a director of Crosse & Blackwell. Batger & Co was the sole profitable Crosse & Blackwell subsidiary in 1923. However Crosse & Blackwell directors discovered that a confectionery firm lacked synergies with a company largely concerned with preserves. Crosse & Blackwell divested Batger & Co Ltd as a private company under the sole control of Stanley Machin and Joseph Hetherington (1873 – 1937), who had both been associated with the firm for over forty years, in 1926. There was a strike at the Broad Street factory in 1926. The striking employees were all dismissed. Stanley Machin died in 1939. An obituary hailed him as one of the “leaders of commercial life in the City of London”. The Broad Street factories were destroyed during the Blitz in 1940. A new factory was opened at 44 Southside, Clapham Common. Batger made a loss of £66,000 on a turnover of £1.2 million in 1969. Its net asset value was £301,000. Batger & Co was acquired by Needlers Ltd of Hull, a confectionery firm, for £263,000 in cash in 1970. The Batger factory in Clapham was closed in 1971, with production relocated to Hull. Two Batger directors, J Hetherington and Colin Machin, joined Needlers. The last remaining Batger’s product, Chinese Figs, was discontinued around the year 2000. 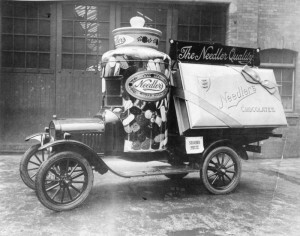 The Needlers business was acquired by Ashbury Confectionery of Corby in 2002. Tate & Lyle is the largest sugar business in Europe. Henry Tate built his fortune by popularising the sugar cube In Britain, and later established the Tate Gallery in London. Henry Tate (1819 – 1899) was born in Chorley, Lancashire to a Unitarian minister from Newcastle upon Tyne. Tate was apprenticed to one of his older brothers at a grocery shop in Liverpool from 1832. Tate acquired his own grocery shop at Old Haymarket, Liverpool, from Aaron Wedgwood (1789 – 1840) in 1839. He began to focus on the sale of tea. He had six shops by 1855; four in Liverpool, one in Birkenhead and one in Ormskirk. He expanded into the wholesale trade in 1857. Tate entered into partnership with John Wright, a sugar refiner of Manesty Lane in Liverpool, in 1859. 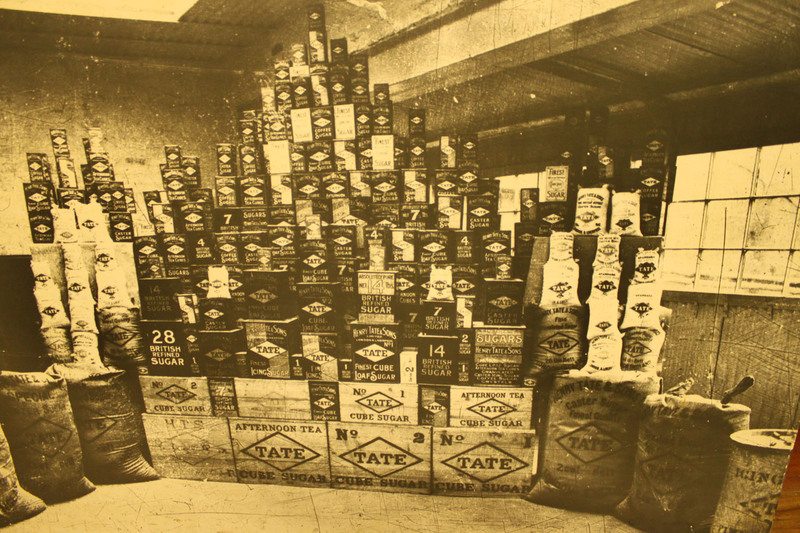 Tate sold his grocery interests to a brother-in-law in 1861, in order to concentrate on the sugar business. Tate built a sugar refinery of his own at Earle Street in 1862. Little is known of Tate’s refineries at this time, but they probably produced low quality sugar and treacle. Tate bought out Wright’s stake in 1869, and Tate’s sons Alfred (born 1846) and Edwin (1847 – 1928) were brought into the business, which was renamed Henry Tate & Sons. Tate acquired the rights to the new French Boivin-Loiseau sugar purification process in 1872. Despite having been first offered to every other sugar refiner of scale, none but Tate had recognised its potential. It was this patent that really offered Tate a serious advantage over his rivals, as it was more efficient than the then-predominant Greenock process. Tate opened a new refinery in Love Lane, Liverpool in 1872. Soon the factory was producing 1,000 tons of sugar each week. By this time the company employed 400 people. Tate and David Martineau, a London sugar refiner, bought the British rights to Eugen Langen’s sugar cube manufacturing process in 1875. Previously sugar had been sold to grocers in large cones, with servings then broken off with a hammer. The old method was inefficient, and pre-packaged “Tate’s Cube Sugar” was soon a great success. Tate acquired a derelict shipyard at Silvertown on the Thames in London in 1874-5. He opened his largest sugar refinery there in 1878, and it was managed by his son, Edwin. This new refinery would produce only sugar cubes. By 1883 Tate had the largest sugar producing capacity in Liverpool, and the third largest capacity in London. The Liverpool plant produced hard sugar and the London plant produced soft sugar. Henry Tate & Sons employed 538 people by 1889. At the age of 76, Tate was asked why he did not retire. He replied, “when you pull on a string and gold sovereigns come tumbling down, it’s very difficult to stop pulling that string”. However he finally did retire the next year. Henry Tate & Sons became a private limited company in 1896, and his son, William Henry Tate (1842 – 1922), became the first chairman, and his brothers were the directors. Henry Tate was a private man, a good employer and a generous benefactor. He built, at the cost of £500,000, the Tate Gallery for the people of Britain, which housed his collection of art including Waterhouse’s The Lady of Shallot. Other benefactions, sometimes anonymous, but always discreet, amounted to almost £1 million. Despite his great wealth he lived a modest life, and refused a baronetcy twice before finally accepting in 1898, having been told by the Prime Minister that a third refusal would offend the Royal family. Tate died a year later. At the turn of the century the factories in Silvertown and Liverpool employed between 2,000 and 3,000 people. The London buildings occupied 36,000 square metres, and the Liverpool buildings occupied 19,400 square metres. After a director died, his widow wished to sell her stake, so Henry Tate & Sons went public in 1903. Henry Tate & Sons was the largest sugar refiner in Europe by 1914. The company merged with Abram Lyle & Sons, another large British refiner best known for its golden syrup, in 1921. The new company, Tate & Lyle, had a capital of £4.5 million and employed over 5,000 people. The business controlled around 50 percent of Britain’s sugar refining capacity. Reasons for the merger included the expectation of the re-emergence of European sugar refiners after the First World War, but also the Tate family lacked young blood to take over the company, whilst the Lyle family had an abundance of candidates. Fairrie & Co of Liverpool was acquired in 1929. The company employed around 900 people. The Fairrie sugar refinery was immediately closed down. Tate & Lyle was the 32nd most valuable company in Britain by market value in 1930. Tate & Lyle employed 7,000 people, and was among the 100 largest employers in Britain by 1935. A major rival emerged after the British government nationalised fifteen sugar beet refiners under the British Sugar name in 1936. Tate & Lyle held 60 percent of the British sugar market by 1937. Tate & Lyle acquired Macfie & Sons of Liverpool in 1938. The ageing Macfie refinery was immediately closed down, and production was relocated to Love Lane. The Thames Refinery became the largest sugar refinery in the world, with an output of 14,000 tons a week by 1939. Tate & Lyle employed 10,000 people in 1961. The company held over 50 percent of the British sugar market in 1970. Britain entered the Common Market from 1972, which saw quotas imposed on imported raw sugar cane. As a result, Tate & Lyle was forced to diversify. Manbre & Garton, a sugar and starch producer, was acquired in 1976. The acquisition gave Tate & Lyle a monopoly on cane sugar production in Britain. Unfortunately Manbre & Garton began to haemorrhage capital. Combined with some ill-fated diversification attempts, by the late 1970s Tate & Lyle was in trouble. Canadian Neil Shaw was appointed managing director in 1980, and he set about transforming Tate & Lyle into a professionally managed company. Shaw closed down the Garton starch factories, sold six of Tate’s ships, closed its glucose operations, reduced head office staffing levels and cut out excessive levels of management. The Love Lane refinery was closed in 1981 due to an excess of sugar capacity caused by the Common Agricultural Policy of the European Union. Worldwide staff had been reduced from 16,400 to 11,400 by 1984. In 2010 Tate & Lyle sold its sugar business to American Sugar of Yonkers, New York. This allowed the company to concentrate on its industrial food products division. As of 2013, Tate & Lyle’s Thames Refinery supplied 40 percent of Europe’s cane sugar demand.